Ask and Ye Shall Receive: Maybe the massive blogs get tons of companies offering free products out of the blue every day, but that doesn't happen often for me. At least half of my giveaways happen because I emailed a company directly to ask about the opportunity. Seek out the Media or PR contact whenever possible to make sure that the right person is reading your emails. Have a Contact Button: Although it's true that plenty of my giveaways were organized because I initiated them, I do get quite a few samples to review that companies email me directly about. How do they get my information? My blog. I have a "contact me" section at the top of my blog, which is definitely something you should have if you are considering giveaways! Be Honest: It might be tempting to write positive reviews for every item that comes your way, but I think that can cause your integrity to take a hit. If you don't like something, let the company know. Sometimes I have told the company I don't like their product and simply skipped the review, while other times I have been honest and said what I liked or didn't like about it. Stick With What You Know: You probably won't see any giveaways on here for rowing equipment or baby gear. Not because those companies don't contact me, but because it's not my blog topic. I'd rather skip a giveaway than have it be something unrelated to me and my interests. Promote the Heck Out Of It: Once you've snagged a giveaway, use it to your full advantage. Post it on Facebook or Twitter, and offer extra entries for people who advertise it on their own blogs. 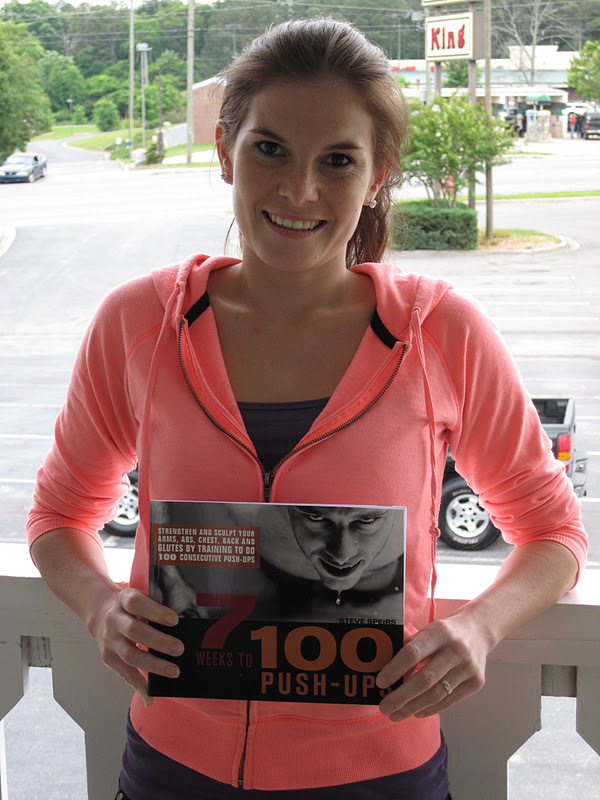 Giveaways are a great way to bring in new readers for your blog. Play By The Rules: This is the boring part, but still important. If you got something for free from a company, say so clearly. You are legally obligated to be upfront when you receive something for free, even if your reviews are still honest opinions. Also be sure to clearly state the rules for your giveaway, where the prize can be shipped and when it ends. I'm curious what you, as blog readers, think about reviews and/or giveaways. Personally, I'm a fan of giveaways. I just love free stuff and 99% of the time I see a giveaway, I enter. Sign me up! However, I have heard people complain that too many giveaways turns a blog into a marketing machine instead of, well....a blog. What are your thoughts? Have you hosted a giveaway before? Do you normally ask the company about it or have them contact you? Right now it's about 50/50. When I first started my blog, nearly every giveaway was organized my me, but that is starting to shift a little bit in the last few months. What are your favorite giveaway items? Obviously big-ticket stuff is fun, right? Otherwise I love entering clothing giveaways, because I often feel guilty buying running gear for myself. 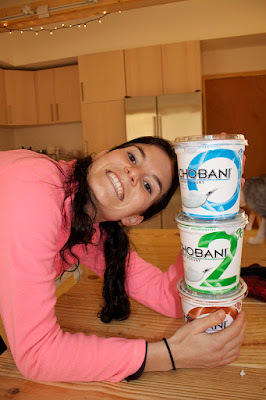 Speaking of giveaways - have you entered my Chobani yogurt giveaway yet? Get to it! Great post! I was following most of these rules but neglected to contact my favorite companies directly! I say the more the merrier but that's because I love trying products before blowing money on them. Lets be honest...with running stuff...running is supposed to be cheap. Clearly it isn't. Nothing comes cheap with running and if I can try something and get it for free in exchange of a blogging review/giveaway I am down for it. I feel like most readers would love the chance to try it for free as well. I have only had 1 product so far that I just did not like. I didn't blog about it. I also have been contacting most companies for the review/giveaway process to start but there are a few that I haven't had to. Very nice. I've wondered how bloggers go about doing reviews. . . I love giveaways/freebies. . . did I mention I won a pair of Jessica Simpson shoes from onlineshoes.com before christmas? :-) Very nice, though I won't be able to wear them as my miles increase for training! Giveaways used to be nice, like a year and a half ago when we didn't have to do a million things to enter and a simple comment would suffice. Now it's all like the company on twitter, like my blog page on facebook, share this giveaway on twitter, blog about this giveaway, blah blah blah, it drives me crazy. From a PR standpoint, I definitely see the benefit of all of this, for the blogger and the company supplying the product(s) but I'm not one of those people who is willing to jump through all the hoops. Many times all these hoops are "extra entries", but when they're required I quickly navigate away from the page. I always end up deleting it all anyway, so it's really not beneficial. Also, why would I want more people to know about and enter something I want to win? I digress, simple giveaways without publicity/public relations motives are awesome, all others, eh...not such a fan. To be honest, I usually skip over the giveaway portion of your blog. Opinions on such things are always so subjective your rave might not suit me. However, if the title includes something that I was thinking of trying anyways, I'll read and see what you think. This was an awesome post, Vanessa! Great tips. Like you, it was about 50/50 at the beginning and everyone said yes at the same rime so it felt like giveaway after giveaway... I think I just got a little too excited at first when everyone wanted to give me stuff! Thankfully it has now scaled back a bit and I don't have to do as much asking. A lot of companies contact me and I often if not always enjoy every product I get. Maybe I'm just too easy to please! Honestly, I don't LOVE giveaways. Which is odd, because I really like free stuff and when I have done my own giveaways on my blog I have been really excited about them. I know it's part of the game, but it's not why I read blogs. Sometimes they feel so fake and like they have just been worded by the companies (which I know is what they ask for sometimes). I guess I just crave authenticity and it is lost sometimes when there are giveaways. So, if there's a giveaway, a lot of the times I just skip reading the post. If I enter, then half of the time I forget to even see if I won anything. Lame, right? Totally, but that's how it is. Mixed feelings. A giveaway every now and again is nice, but I read blogs for the stories about people lives/training/travels/etc... So too many giveaways make me less engaged in the blog. For me, they start to feel like clutter. Honestly, I'm kinda over giveaways. I hate how every blog I read will do the same exact giveaway at the same time. I don't think I want to do anymore on my blog either. If I do any more, it will be just me mailing something, instead of dealing with a company that never sends an item to my winner or one of the countless other problems that crop up. Entering can be a lot of work, but I love winning giveaways. I get tired of having to like countless FB pages and do twitter follows. I have won some great stuff though. about 75% of mine are me asking the company. I love doing them and getting to try things for free. Some reviews and I read others I skim and some I skip and just enter to win. Reviews that are short and sweet are the best. I've done quite a few giveaways. I love getting and testing new products. The worst, though, is when you don't really like the product and you have to be honest about it. I refuse to lie. Great guidance GR! I like give aways. There are 2 blogs that I only go to for the give aways which is the reason I don't do give aways (at least not yet) - I don't want people to come to my blog only because of a give away - I want them there because they like me BUT I like what you said about using a give away as finding new readers . . . I've found several blogs through give aways. Hmmm, might have to reconsider. I have asked several companies to do reviews about their products - I haven't had a lot of luck. I write a restaurant review blog (3elles.com) and am often asked to visit a restaurant. I never enter clothing give aways because they won't fit (unless I think my running partner would love it then I might enter it and give it to her). I like accessories & gadgets - bondi bands, head lamps, active bands, etc. I haven't done a giveaway in a loooong time for exactly the reasons you mentioned: the companies that contact me are either not really products I trust/think are a good fit for the blog, and my integrity is way more important to me than free stuff. I do need to start reaching out to companies that I *am* excited about though... I'm such a slacker in that department! great advice!! i've let my giveaway motivation go by the wayside and this was perfect to help me restore it! your blog is always so wonderful!! I am with you on the giveaways - I love free stuff, as long as it pertains to me and my interests (I probably wouldn't enter a contest for baby clothes or the such - because I don't have a kid and don't plan on it soon) - however, I do feel that a blog can be inundated with giveaways - reviews can be nice, as long as they aren't everyday (as I am a big researcher when it comes to gear and food and appreciate honest reviews) but some sites are just too much with their giveaways, and too little with their good content- I love free stuff, but I hate spam and marketing mumbo-jumbo....there is a balance I believe. Great tips, I have only hosted 2 one went awesome the other not so much..
Good idea for a post and great information, Vanessa. Love your forthrightness and honesty. I have done a couple of giveaways on both my blogs now and was hoping they would drive more traffic to them and have mixed results. I have won some amazing stuff this past year though and do make sure to enter the ones I am interested in winning! Thanks, Vanessa! This is great. Great post! I wondered too how people were doing giveaways and I honestly just contacted the companies myself. I think at first when you have all these products coming in, you want to share you know? But I could see how after awhile the giveaways just get bothersome. When I do mine, I do one at a time for two weeks and I keep it short and sweet. I have seen some blogs where you have to do like 30 things before you are finally done. That gets boring real fast! I have never hosted a giveaway on my blog...yet. Maybe I will. I try to only enter giveaways that I want to win because I feel bad winning if I didn't really like or want the product being offered. I like giveaways that are easy and don't have tons of things I have to do to actually enter. I'm a bit hypocritical on giveaways - I LOVE free stuff myself (who doesn't?) but, to be honest, I'm becoming sick of seeing them on blogs. I'm starting to skip over them because a lot of the same ones come up on many blogs I read. I've mentioned on my blog I get sick of the "follow on facebook, tweet, follow on twitter, answer this question, look at their website" etc etc. I understand the company wants publicity, but it gets tiresome. A lot of time there's already hundreds of comments and it's not even worth it. I like reading blogs to read about everyone's training and lives, and giveaways just seem so generic. But, I'm not sure I'd say no if I got an email for some free stuff right now! See, hypocrite. I'm making a "contact" page right now. (My email address was buried on my "about" page.) Thank you for the brilliant advice! I agree with everything you said! The biggest surprise to me when I started blogging was what you can get just by asking! Good point on stating when you are given something for free, I need to be better about that! I'm shameless, I love free stuff, I'm a fan of the giveaway. It's a great way to get word about about your blog. But I suppose I can see why people would get annoyed by it...but whatever, they can just skip that post. Just did my first one and had fun with it! I really enjoyed your post and after reading all of the prior comments I want to write an entire post about this myself. I am pretty sure I am NOT the typical blogger who does giveaways because I have paid for every single item I have put in a giveaway except for my last giveaway that was sponsored by CLICK. I go out and actually buy items that I think my readers would enjoy winning as a THANK YOU to them. Now I realize sometimes I do give people the option for lots of entries but I think people feel like they have a greater chance to win if I do that then if I just tell them to leave a random comment. Sorry for being so wordy! This post is very useful, Thank you!! I found your post to be helpful, I'm new to doing giveaways on my blog but I agree that the bets way to go about it is chose your giveaways wisely. I have had luck in contacting the companies that I personally love to use and ask for promotional possibilities on my blog - they've always been pretty receptive and happy to work together.